This mid terrace home is conveniently located just off the Castlereagh Road, in close proximity to Forestside shopping centre and many of East Belfast leading schools, Metro bus links and further benefits from being only a short commute to Belfast city centre. The accommodation comprises of a lounge, a fitted kitchen with a full range of units providing ample storage space, a spacious bathroom with three piece white suite and three bright bedrooms. The property further benefits from uPVC double glazing and gas fired central heating. Externally the property boasts an enclosed front garden and a private rear garden with paved patio area and lawn. 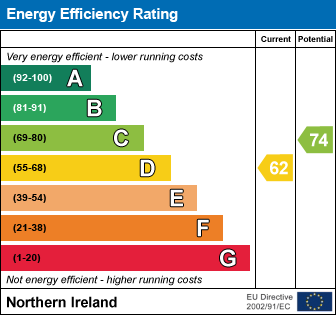 I am interested in 47 Carncaver Road, Belfast. Please contact me about this property.